What’s the first thing you do when you’re about to cook salmon? The same basic recipe you sue every time, right? I do the same thing. A bit of salt and pepper, lemon juice, and toss it on the grill. But it doesn’t have to be that boring. There are so many ways to spice it up and give your salmon recipe a kick! 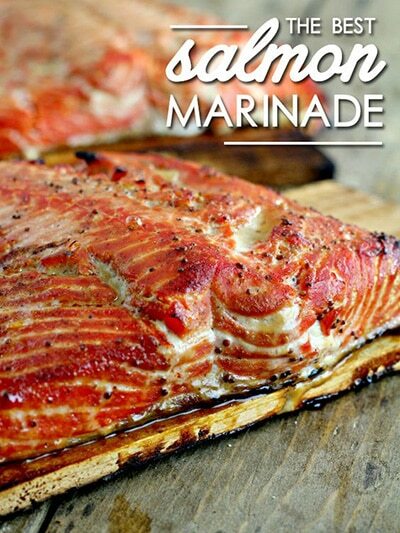 So I’ve rounded up 21 of the most mouth watering smoked salmon recipes I could find. Enjoy! Besides the avocado and smoked salmon, there’s not really much else to this recipe. But the fact that it’s a pizza and has the most delectable spices, herbs, and sauce makes this a killer recipe that you just have to try. It’s definitely a unique spin, that’s for sure. So for those of you who don’t actually know how to smoke salmon you could always just buy it pre-made at the store. But it’s often quite plain and generic in taste. Why not learn how to do it yourself and never have to buy it again? This easy to follow recipe shows you how to smoke, brine, glaze, and dry the pink fish to perfection. Brining the Salmon. Add a quart of cold water to a plastic or glass pitcher then add the salt and stir to dissolve. Add sugar, rub and maple syrup and mix well. Lay the salmon on the cutting board and remove any pin bones using a pair of clean needle nose plyers. Cut the fish in half, I highly recommend doing so to make it easier to handle the fish. Place the (2) halves in a gallon sized ziploc bag and pour in enough brine to cover completely. Press out all of the air and seal it up. I recommend placing the bag of fish down in a foil pan or other container to contain any accidental leaks. Place the pan with the bagged fish into the fridge and let it brine overnight or 8-10 hours. Once the fish is finished brining, remove it from the brine and lay it on a Bradley Rack or some other similar device to allow the fish to dry. Pat the outside of the fish dry with a paper towel or just lay a paper towel across the fish and let the moisture wick into the paper towel for a minute or two. Apply a little spicy mustard or Dijon to the salmon then massage about a tablespoon of my rub into the meat. We will also add more rub later via the maple syrup glaze. Smoke the salmon at 100 degrees or as low and close to that as you can get, for 2 hours. After 2 hours, raise the temperature to 150 degrees to continue the cooking process and allow the temperature to continue to climb. During this stage and the rest of the cooking process, you will want to glaze the salmon with the maple glaze once every hour or so. Whisk mayonnaise, lemon juice, and pepper together in a medium bowl. Add smoked salmon and green onions, tossing to combine. Taste to see if you need to add another grind of pepper. When the smoked salmon salad is adjusted to your liking, chill it for a few hours if you’re able to, to let the flavors meld. Lightly salt the four avocado halves and spritz them with a bit of lemon juice. Then stuff each avocado half with a quarter of the mixture, really piling it up. Remove the salmon from the cure, which will get wet, and briefly rinse the fish under cold water. Pat dry with a paper towel and set the salmon on a drying rack skin side down. Let this dry in a breezy place for 2 hours, or in the fridge, uncovered, overnight. I put the racks under a ceiling fan near an open window with another fan blowing at the fish from the side. You are doing this to form a pellicle on the salmon, which helps it smoke properly. Don’t skip this step! Traditionally salmon candy is cold smoked for several days. If you can do this, go for it. I use a Bradley digital 4-rack smoker, which takes a while to get hot. A Camp Chef Smoke Vault is another way to go, and it gets hotter much more quickly. Either way, you want to bring the temperature up gradually over the course of an hour or so and let it sit at around 180°F to 225°F for at least 3 hours, and up to 8 hours if you like your salmon candy harder and smokier. Every 90 minutes to 2 hours, paint the salmon with the maple syrup. This also helps to remove any albumen — the icky white stuff — that can form between the fish flakes if your smoker gets a little too hot too fast. The sushi lover in you is just going to die over this recipe. Smoked salmon rolls with all the sushi stuffing? Yes, please! Basically, rather than the traditional idea of using nori (seaweed wraps) and Japanese rice, you substitute them for thin pieces of smoked salmon, avocado, and cucumber. On top of the salmon roll, take a small amount of the compound butter and gently spread it on with your hands. You’ll want it nice and soft, so take it out of the fridge at least a half an hour before you start. Place a chunk of avocado, a piece of cucumber and a few red onion slices on top of the butter and carefully roll it forward to make something like you see in the glass dish on the left. Once you’ve done all of them, cover the dish and store it in the refrigerator for 4+ hours. With any remaining cucumbers, onions and chives – give them all a fine chop and place in individual pinch cups for later garnishing. Right before you’re ready to plate, remove the salmon and use a serrated knife to slice the rolls into individual pieces. At this point, let your creativity run wild. Between the chopped garnish, chive oil and whatever else you have on, you’re ready to put them on a plate and go. 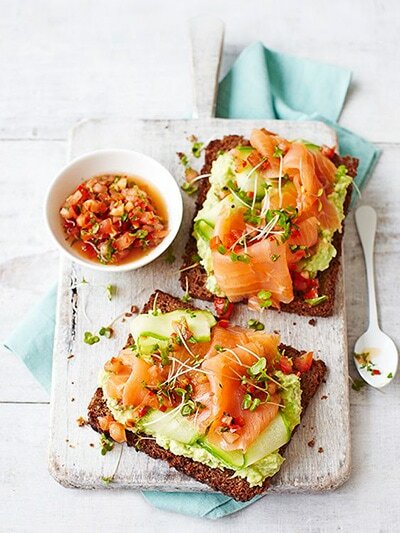 Divide the avocado between the toasted rye bread, sprinkle over a little cayenne pepper and add the smoked salmon and cucumber. Spoon over the dressing, then top with the cress. We’ve all tried grilled cheese alternatives. Ham on grilled cheese, bacon, turkey, bologna, you name it. But have you ever tried smoked salmon on grilled cheese? It’s surprisingly amazing, and easy enough to do. A great way to class up an old favorite, especially when you have company staying. Spread the cream cheese onto one piece of bread, and place the avocado slices onto the other piece. 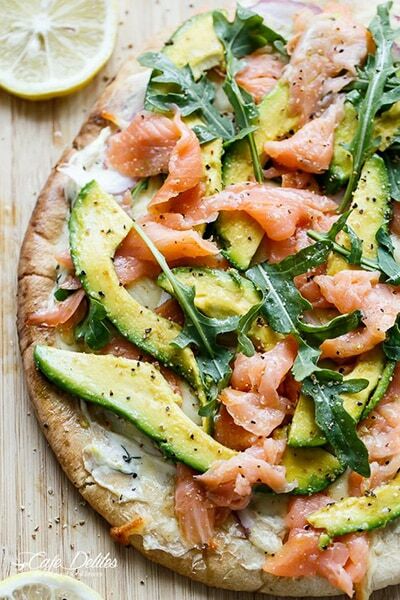 Add the smoked salmon over the avocado and sprinkle with mozzarella. Heat a nonstick pan over medium heat with cooking oil spray. Place the sandwich into the pan and fry on both sides until golden, the sandwich is warmed through and the cheese has melted! So you’ve probably heard of this one before. 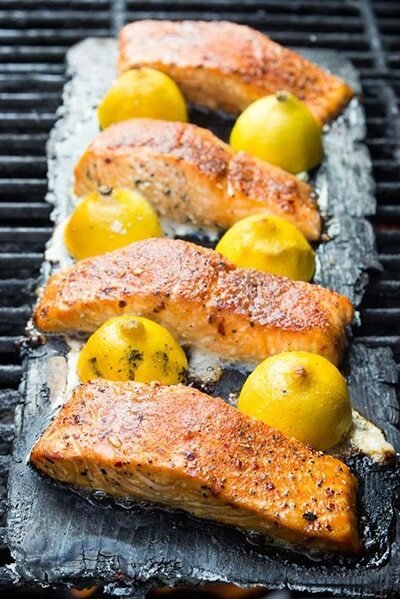 Salmon on a cedar plank is one of the most common ways to cook the pastel fish. But you can make the whole thing a fancy presentation like this. 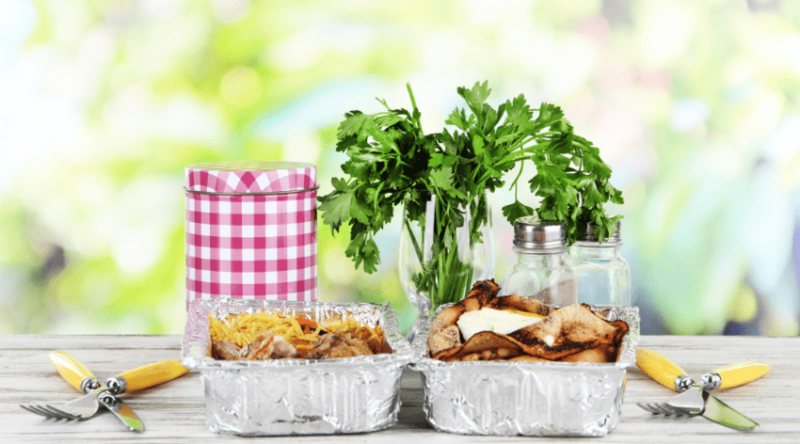 Great for BBQs and backyard events. Place them skin down on the plank, drizzle with oil and spices, and line with lemon halves. Prepare the cedar plank by soaking in water for at least 1 hour. I usually fill my kitchen sink with enough water to cover the plank and use full water bottles or canned goods as weights to keep the plank underwater. While the plank is soaking, combine the brown sugar, garlic salt, onion powder, paprika, red pepper flakes, sea salt, and black pepper. Rub over one side of the salmon fillets. 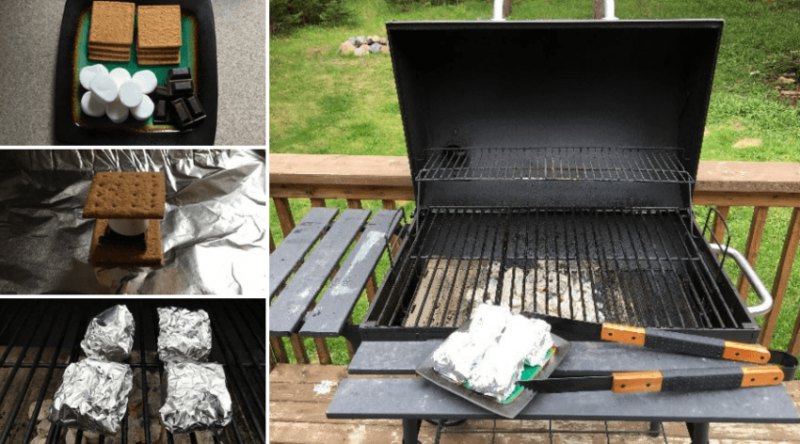 Preheat the grill on high heat. Place the soaked plank on the grill until it begins to smolder and crackle, about 3 minutes. The plank will turn black. Flip the plank over and arrange the salmon fillets (rub side up) on the plank along with the lemon halves, cut side down. Cook, covered, until salmon flakes easily (the lemons will also become really soft), 8-10 minutes. If plank catches on fire, spritz it lightly with water until the flame is gone. Squeeze lemons over salmon and serve immediately. Have you ever heard of some pepperoncini? Yeah, me neither. But I’ve discovered that they are delicious! 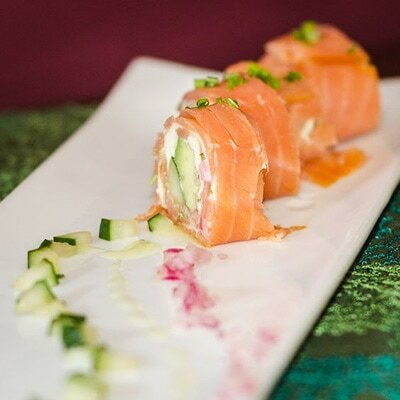 Especially when stuffed with cream cheese and wrapped with strips of perfectly cured smoked salmon. 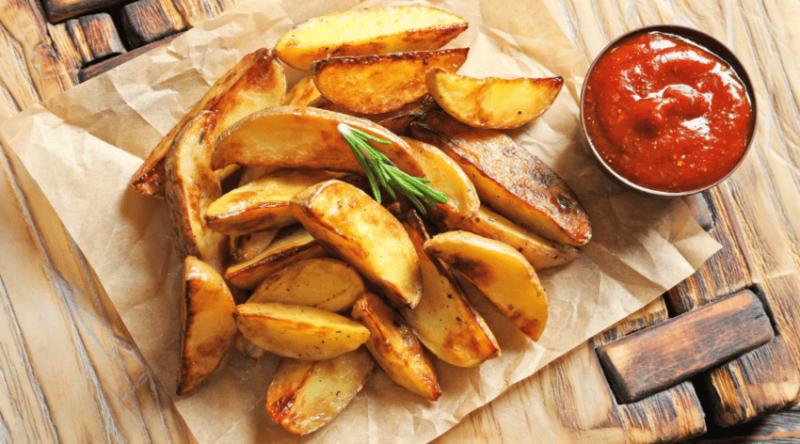 They can be a nifty appetizer to share with friends…or you can keep it for yourself. We won’t judge. Make a small incision – lengthwise – on the side of each pepper. Very carefully remove the seeds and discard them. Thoroughly dry the peppers with paper towels; set aside. In a large bowl beat together the cream cheese, Greek yogurt, dill, lemon zest, salt, and pepper; mix well until completely combined (feel free to use a handheld mixer if you have one available). Use a small spoon to scoop 2 teaspoons of the filling into each pepper. Wrap a thin, long strip of salmon around each pepper and secure with a toothpick. Garnish with dill and lemon zest, if desired. Serve at once or keep cold in the fridge until needed. If you’re tired of fish and rice dishes then try this creamy, dreamy pasta. It calls for bow ties, but you really could use just about any type. 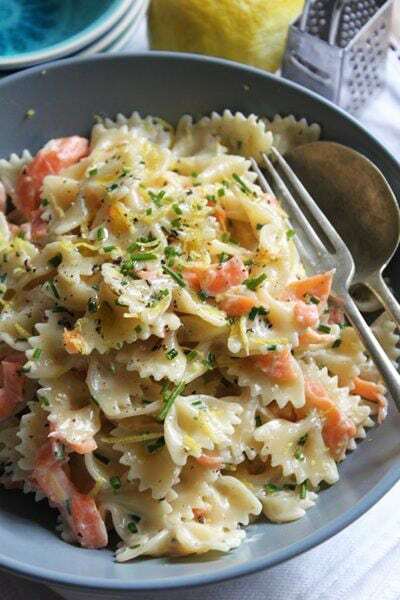 Chopped bits of smoked salmon mixed with a creamy lemon sauce…it’s sounds too good to be true if you ask me. Boil the pasta in salted water until al dente, drain well and place back into the hot pot. Add the cream, salmon, juice, zest and chives. Allow to gently heat through for a minute. It’s really hard to find really great marinades for fish. I think so, anyway. So when I stumble across one like this I make sure to save. It’s super easy and contains pretty basic ingredients that would be in your kitchen; soya sauce, brown sugar, mustard, etc. Super easy and you’ll love it if you enjoy sweet and sour or teriyaki type sauces. Raise your hand if you love eggs benny! If you’re adventurous enough, you could try a unique spin on the breakfast favorite and swap out the traditional ham and/or bacon for a tender piece of smoked salmon. Oh, and don’t forget the avocado. To make the hollandaise, combine the egg yolks, lemon juice, cayenne and salt in a blender until pale yellow in color, about 30-60 seconds. With the motor running, add the butter in a slow stream until emulsified. To assemble the eggs benedict, place the sliced smoked salmon on each English muffin. Top with the sliced avocado and poached egg, drizzling the tops with hollandaise sauce. Serve immediately. So, you’ve probably gathered by now that avocado and leafy green go really well with smoked salmon. Don’t let that bore you, though! 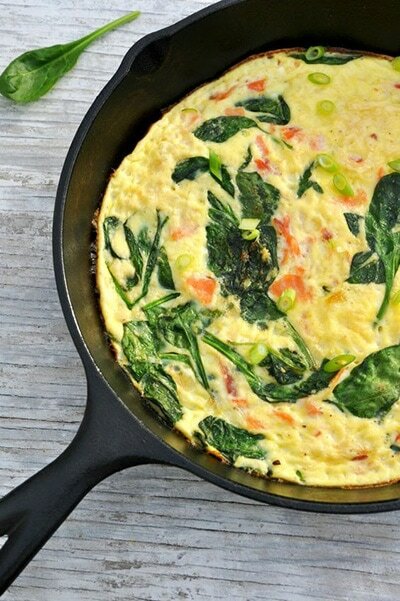 Try a delectable frittata, heavy on the eggs. If you want my opinion, I’d throw some cheese on top. Heat a 10-inch ovenproof non-stick skillet over medium heat on the stovetop. Spray skillet with cooking spray and add spinach and garlic. Cook, stirring frequently, until spinach is wilted (about 1 minute). 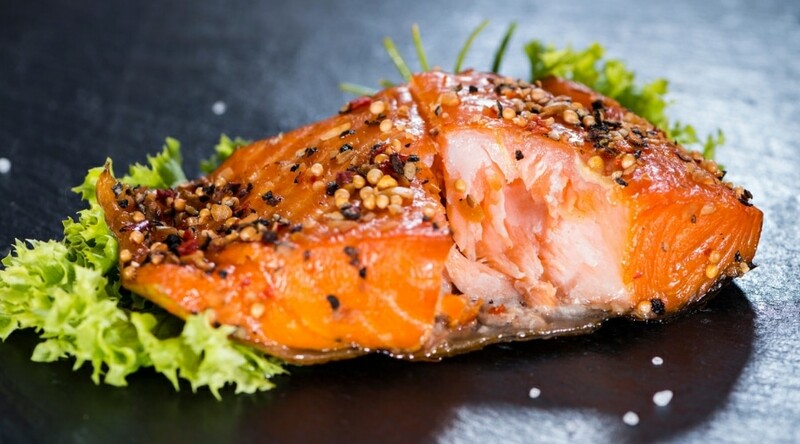 I challenge you to take old classic dishes and use smoked salmon in place of the meat. We’ve already hit a few on this awesome list, and here’s another. A weird, but good, spin on a club sandwich. And why not? 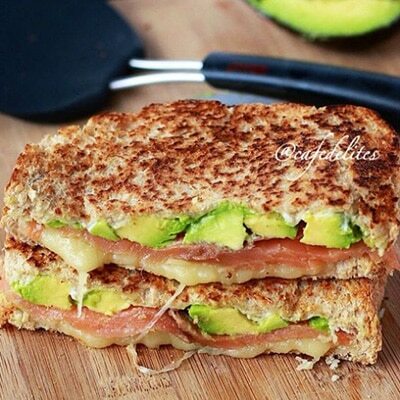 Partnered with it’s best friend, avocado, this is a creamy toasted sandwich. Add 4 cucumber’s slices, 2 tomato’s slices, 1/4 of salmon, and 1/4 of red onion on each of the 4 bread slices. Top with remaining bread. Using a serrated knife, cut each sandwich diagonally into 4 triangular pieces. Secure each piece with a toothpick. 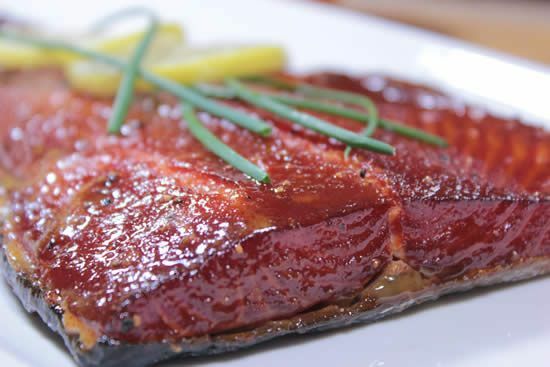 Here’s another great guide for how to smoke your own salmon. Very minimal and very easy to follow. Using a smoker and a bit of salt and pepper, you can have the same tender, juicy fish like in the pictures. And, again, you’ll never have to buy the bland store bought stuff. Make sure it is free from bones. Use sterilized pluckers to pick the bones out, if there are any. Cut the fish into even pieces – for faster curing & smoking, cut thicker part of the fillet into smaller pieces (about 3-4 inches in width for fillet closer to the head, and 5-6 inches width closer to the tail). Place the drip pan between the chips and the racks of fish. Change wood chips every 2 hours. Leave the fish to smoke for 5-6 hours, depending on the temperature outside. In the summer months, start checking for doneness after 5 hours. Store refrigerated in closed container for up to a week and a half, or vacume seal and store for up to 2 months. I’m not a fan of fish tacos, but these smoked salmon soft tacos are to die for. Toss on some jalapenos for a kick, a dollop of sour cream, avocado (duh), and some salsa. I actually tried this recipe and amped it up a notch by using guacamole instead of plan avocado. I loved it! Combine chili powder, cumin, onion powder, paprika, salt and pepper in a small bowl. Rub spice mixture over salmon. Cook salmon in olive oil in a preheated skillet. Continue to cook salmon until no longer pink, about 4 minutes per side. To serve, warm tortillas according to package directions. 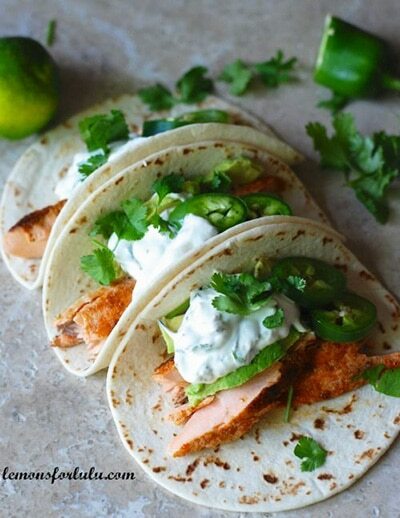 Then place salmon in a warmed tortilla and top with jalapeno cream. Serve with avocados and salsa if desired. Okay, remember those egg boats your mom used to make when you were a kid? She’d hollow out a piece of toast and then fry an egg in the whole. It was awesome. Well, take that idea and use avocados instead of toast and add some salmon and bacon for the heck of it. If you have a big event coming up or just some company coming over, try offering a plate of these beauties as an alternative to crackers. It’s gluten free (because we all know someone who’d appreciate that) and it’s also a fresh burst of taste for your tongue against the other appetizers that you’ll probably be eating. To have more room on your cucumber base, cut the cucumber on an angle instead of straight across. 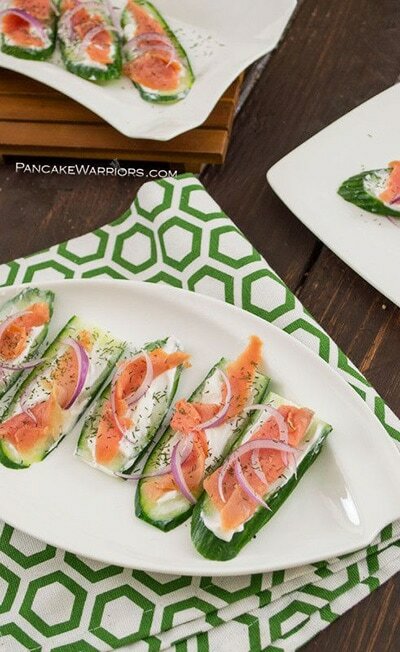 Top each slice of cucumber with about ½ – 1 tsp goat milk cream cheese. Top with half of a thin slice of salmon and a few thinly sliced onions. Sprinkle lightly with dill and serve! You either love or hate cilantro. 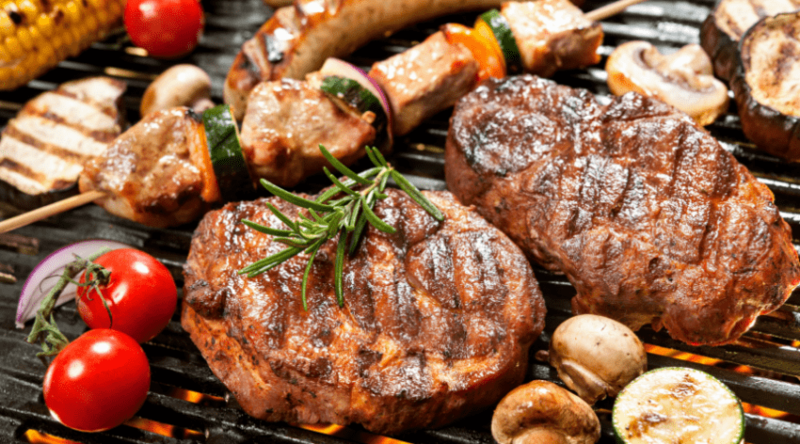 And if you love it then you absolutely have to try this BBQ recipe. Skewer a few strips of smoked salmon along with some cilantro and other bits, and you’ve got a fresh, lemony stick of goodness. I mean it, you’ll eat 10 of these. Make the chimichurri sauce first. Place cilantro, parsley, kosher salt, cumin, red wine vinegar and crushed red pepper in a food processor. Pulse the food processor and slowly add in the olive oil until the mixture emulsifies, about 1 minute. Let set at room temperature until ready to use. Season the salmon liberally with salt and pepper. To assemble skewers, thread one piece of salmon followed by one lime slice. 5 – 6 salmon pieces per skewer. Repeat until all salmon is skewered. Preheat a grill over medium high heat. Spray grill with non-stick spray. 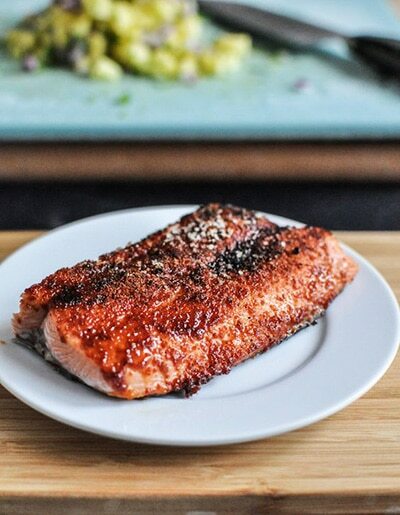 Grill salmon 2 – 3 minutes per side or until cooked through. Remove skewers from grill, drizzle with chimichurri and serve. You will likely have left over chimichurri, keep leftovers refrigerated and pour over grilled steaks and chicken. Any decent list of good recipes should most definitely have a dip option. So here you go! A rich and creamy smoked salmon dip that you can put on crackers, breads, veggies, or whatever else you can think of. Your guests will love it. Mix everything together for a few seconds until it’s smooth. Serve with bread and/or veggies (e.g. sweet peppers, celery, tomatoes, cucumber). And we end on a good note. This is sort of like two recipes in one. The smoked salmon and also the pineapple salsa. Combine the two and you get this heavenly dish. Try it and let us know! 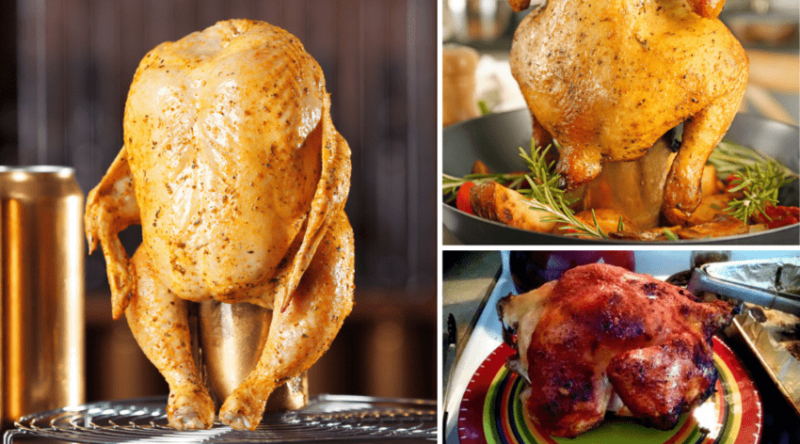 In fact, if you’ve tried any of the amazing recipes on this list, definitely comment and share! Preheat the broiler on your oven to the highest setting, moving the oven rack to just underneath the broiler. In a bowl, mix spices, salt and pepper together until throughly combined. Rub spices over salmon (I actually just did one side because I tend to buy salmon that has skin on, so feel free to spread it out if your salmon is skinless.) evenly and place on a non-stick baking sheet or broiler pan. Broil for 6-8 minutes (for fish that is about one inch thick), turning once if desired. I actually prefer not to flip my salmon, as we love the crispy crust that one side gets. Serve immediately and top with pineapple salsa. Combine all ingredients together and toss. Let sit for 30-60 minutes before serving if possible. Hope these 21 sensational smoked salmon recipes made your taste buds plead for more! If you tried any of our ideas, feel free to comment and share, especially if you have snapshots of your masterpieces! We love to hear from readers.